The San Pedro Culture Committee (SPCC), through the San Pedro House of Culture and the San Pedro Town Council is sponsoring a traditional cultural dance workshop to establish dance groups on the island. The first of a series of planned workshop features traditional Mestizo dances and is being held for two straight weekends at the San Pedro Dance Company studio upstairs of the San Pedro Lions' Den. One of the main purposes of sponsoring the cultural dance workshops is to preserve the traditional dances from the various ethnic groups in the country. 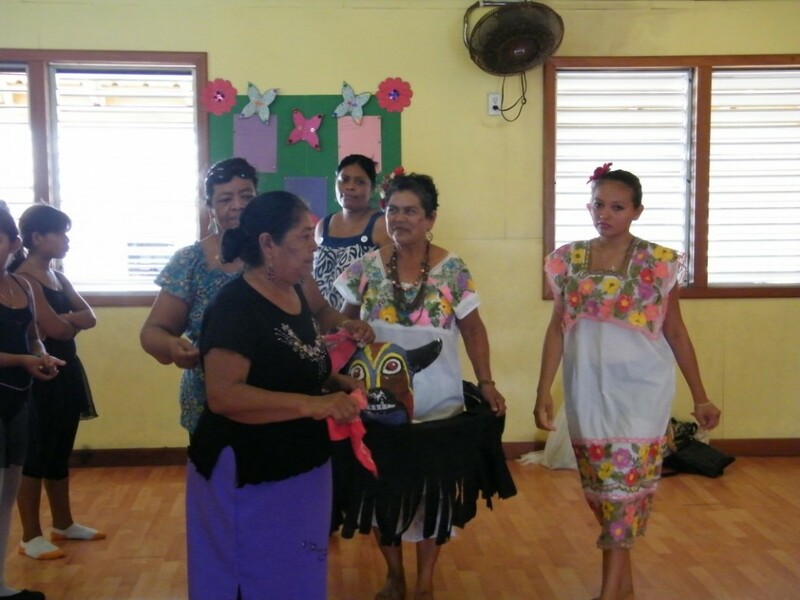 Chairperson of the SPCC, Guillermo "Mito" Paz explained that the dance workshop is just one of many activities planned for the island with the hope of reviving the different Belizean cultures that once existed. Paz said that the training offered to the establish dance groups will give them the knowledge to incorporate traditional cultural dances into their different performances once on stage. For the first set of workshops, five professional Mestizo dancers from the Palmar Mestizo Dance Group and the Yo Creek Masewal Dance Group, both of the Orange Walk District, were invited to train the dance groups from San Pedro. Speaking to The SPSun, Libertad Cal of Yo Creek said that four traditional Mestizo dances were taught. The first dance was the Hog Head Dance (La Cabeza del Cochino). The dance depicts an offering made to the Creator of the Earth. On a platter, a baked hog head is placed with special bread. Stuck on the head are 12 sticks with 12 different colored ribbons or fabrics representing the different months of the year. The offering is made to ask for an abundance of grain throughout the course of the year. The second dance was the Bottle Dance (El Baile del la Botella) which features a male dancing with a bottle on top of his head surrounded by young females. It is said that the dance originated when a man referred to as "el borachito" (the drunk) asked a young Mestizo woman to dance with him. The girl refused to dance with the man because he appeared drunk. To prove his point, the man danced with a bottle on top of his head balancing it without the bottle falling. The other two dances highlight the charm and beauty of a woman as they seduce and overpower the man. In the "El Torito" dance, the female overpowers the cowboy with her irresistible beauty, while in the "El Degoyote" the female flirts with the male, eventually controlling the mind and body of the male. The San Pedro Dance Academy (Company), Little Dynamic Stars and Barbara’s Dance Group are onboard with the workshop. 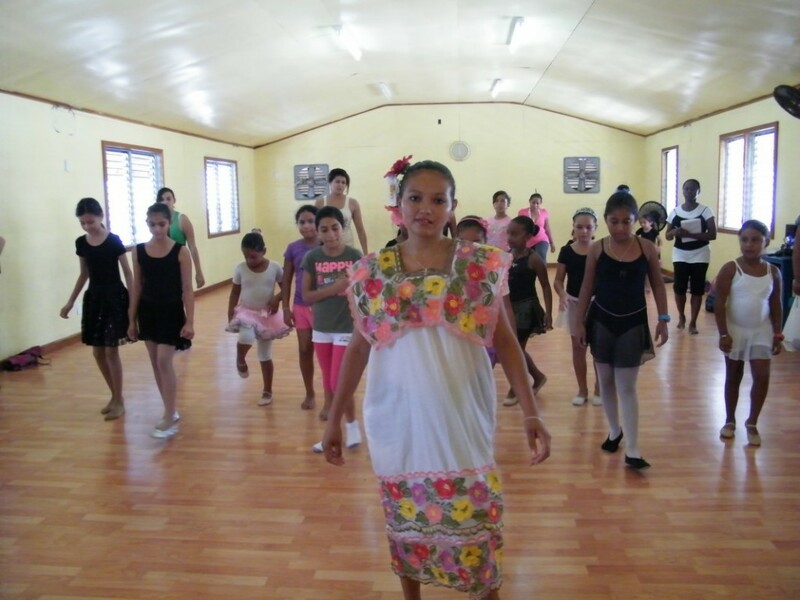 According to Rosita Baltazar, instructor for San Pedro Dance Academy, the training will certainly go a long way in re-establishing a cultural aspect to the groups’ performances. "The folk dance will help the dancers to establish a new vocabulary of dance which we will infuse into our modern movements. It is very healthy for the dancers to know what type of dances their ancestors used to perform many years ago, and learn them before it is lost completely. We didn’t understand the history and importance of some of these dances so it is very helpful for the growth of our and other dance companies," said Baltazar. The second part of the first workshop will continue on April 21st and 22nd. It is the hope of the SPCC to highlight traditional cultural dances from other ethnic groups in future workshops planned as part of the committee’s calendar of activities. Reef Radio Jaguar’s Temple Karaoke 2010 Competition begins!!!! !